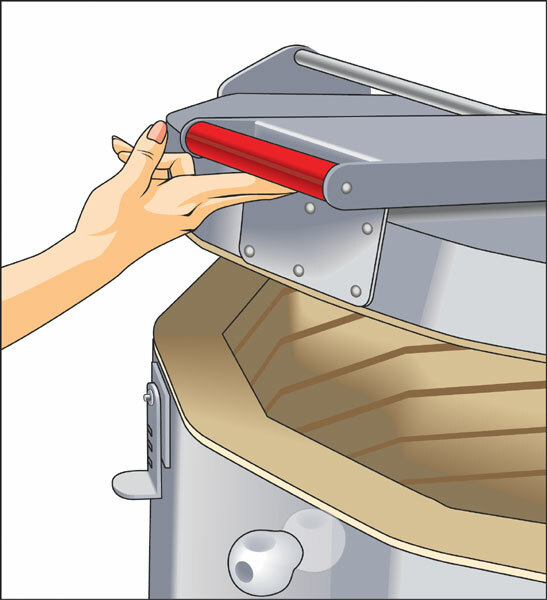 Easily lift your kiln lid with just two fingers. An upgrade kit is available for your older Skutt 10- and 12-sided kilns. (This feature is now standard on newly purchased 10- and 12-sided Skutt kilns).